Have fun making these Easy to Sew Placemats for Beginners. Placemats are a MUST for my tabletop! 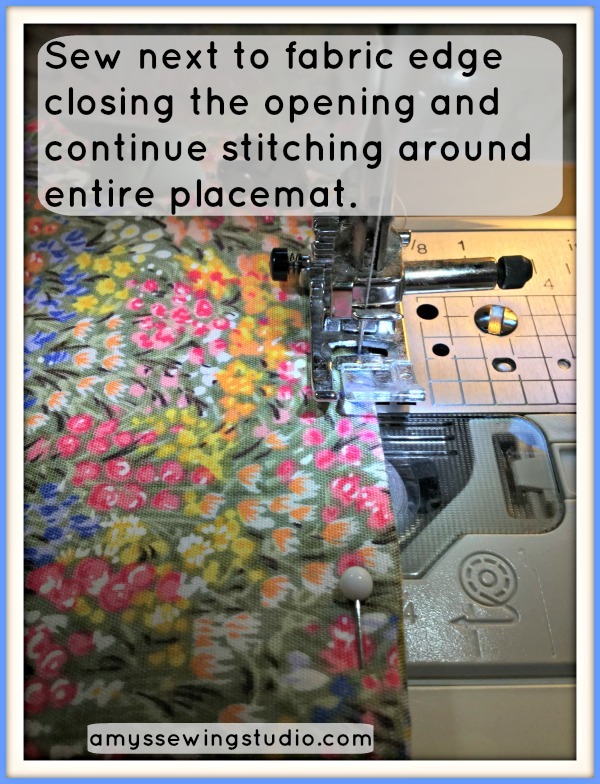 I’ve been wanting to make new placemats for our table, SO I decided to create an EASY Tutorial for Sewing Fabric Placemats. Several years back we got a new WOOD table and the underside of our dishes aren’t totally smooth. Placemats on my table, are a necessity, and help to protect the finish on my wood table from getting scratched! Placemats can make a statement by being somewhat plain and simple or very bold and decorative! The fun part about making placemats with fabric is you can choose the look, color and theme you want to have on your table! 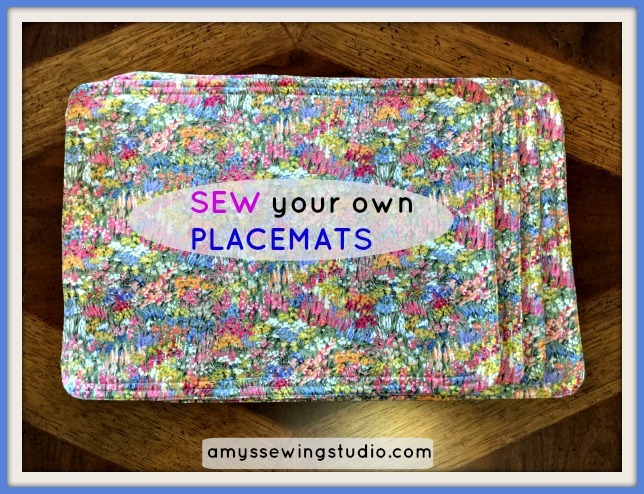 Have fun sewing placemats for your table or to give as a gift! DIY Fabric Placemats can be a fun way to decorate for any season OR occasion. I’ve recently painted my kitchen/family room a light neutral grey and LOVE nature! I can see this fabric being used for placemats in my kitchen, what kind of fabric would you choose for your kitchen? 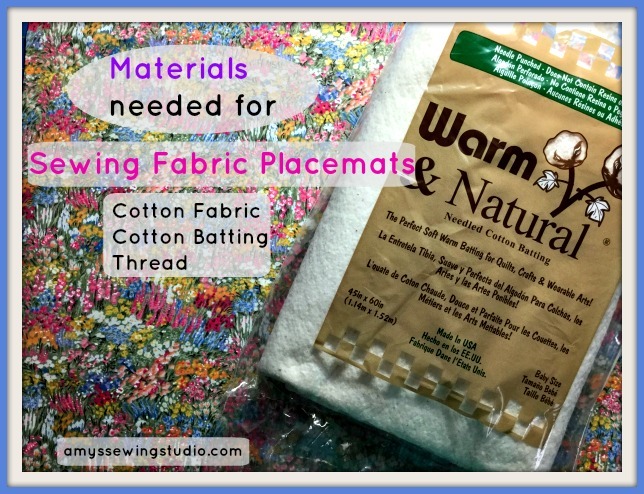 Cut fabric to 14″ X 18″ for each piece, using 2 pieces for each placemat. 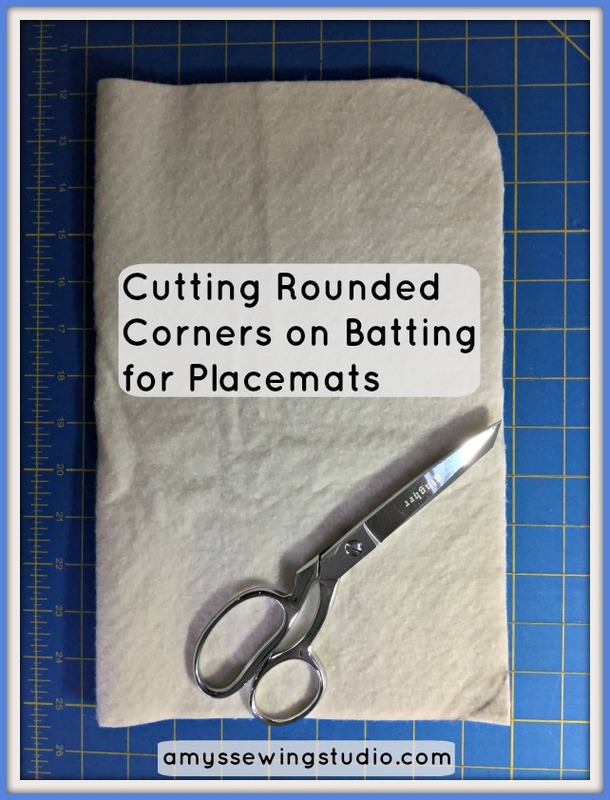 Cut batting pieces to 13″ X 17″; one piece for each placemat. ** I mention making rounded corners on ‘FABRIC’. 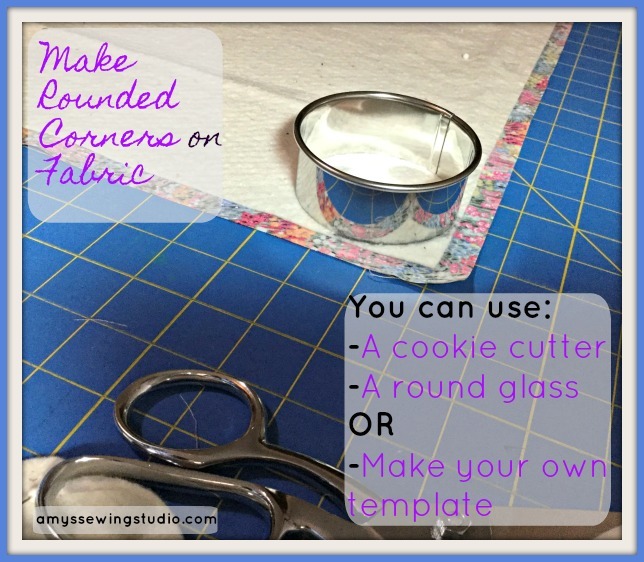 For this tutorial, the rounded corners will be cut on the batting. See the following picture for cutting the batting corners! 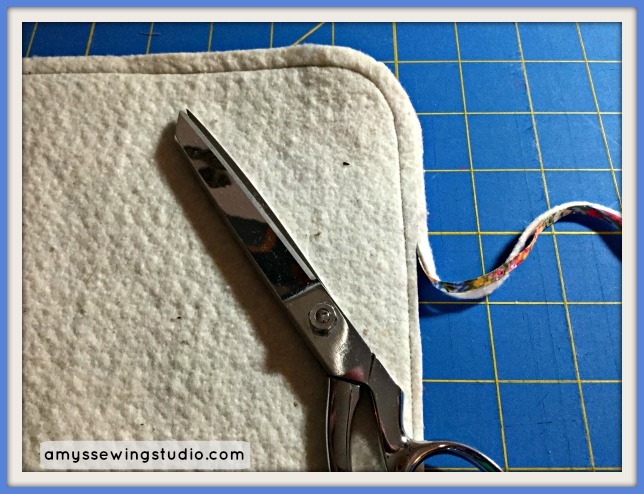 Place the batting on the cutting mat WITHOUT the fabric to cut the rounded corners. Place the template of your choosing on a corner of the batting, having the edges of the template matching the edges of the batting. Trace around the template to make the corner. (See above picture) Do this for two corners. Then fold batting in half with your trace lines visible to you. With batting folded in half having two layers together, you can cut two corners at a time. Unfold the batting and you’ll should have a 13 X 17 rectangle with rounded corners. Place two pieces of fabric, top and bottom of placemat, right sides together. Add batting on top of the fabric pieces, centered on fabric. 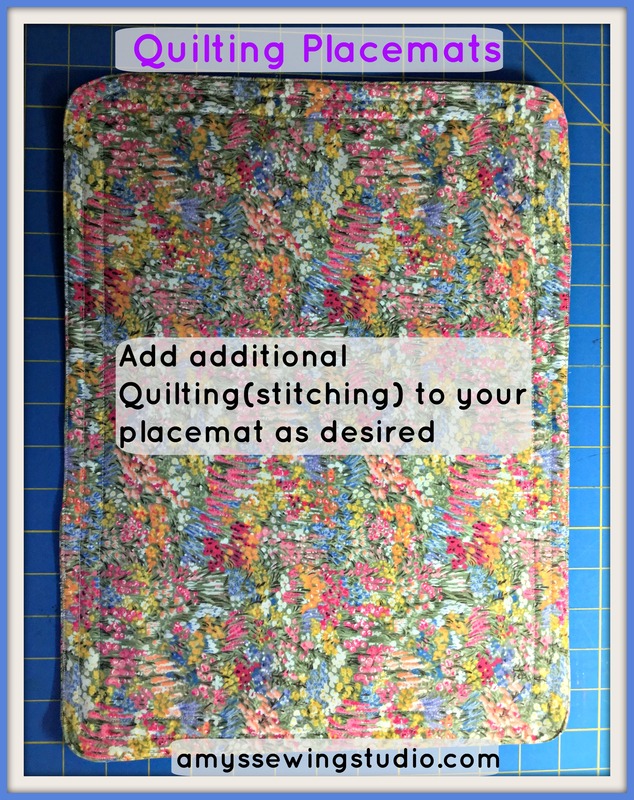 Yes, you will have rectangle fabric pieces and batting with rounded corners. Keep reading to see how placemat pieces will take shape…. Use the edge of the batting as your guide while sewing, keeping the edge of batting in line with the edge of the sewing machine foot. Stitch around 3/8 inch in from the edge of the batting, sewing batting and fabric together. 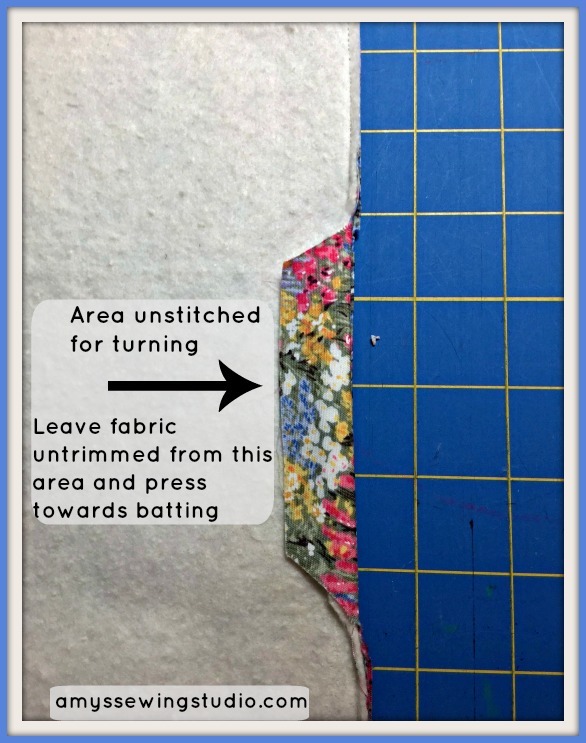 Leave an area unstitched for turning fabric. Trim outside edges of seam to 1/4 inch leaving a tab of fabric where the opening is. DO NOT TRIM FABRIC FROM SECTION THAT IS UNSTITCHED. Before turning placemats right side out, press the tabs on both sides of the placemat along stitching lines. Turn placemats right side out. Use your fingers and push out seams, from inside of placemat, to prepare placemat for pressing. 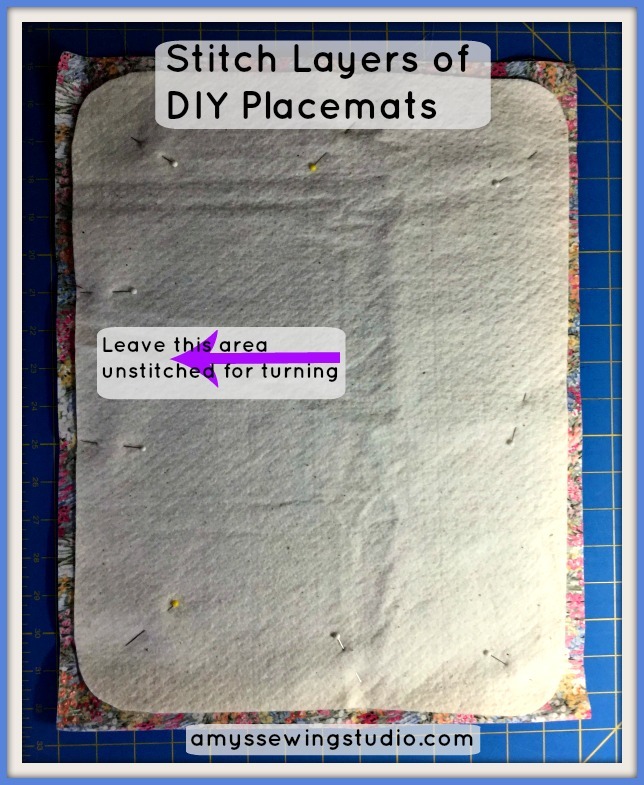 Press placemat and double check the area where your tabs are, making sure they line up for stitching. After turning placemat right side out, you will be set to add final stitching to placemat to close the opening. I added two additional stitching lines around the perimeter of the placemat each stitching line 1/2 inch in from the outermost stitching line. See picture below.